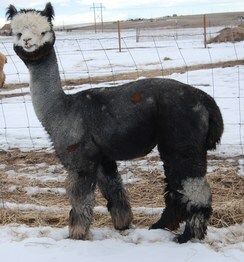 Our first glimpse of this amazing dark silver gray male was at 6 weeks of age. 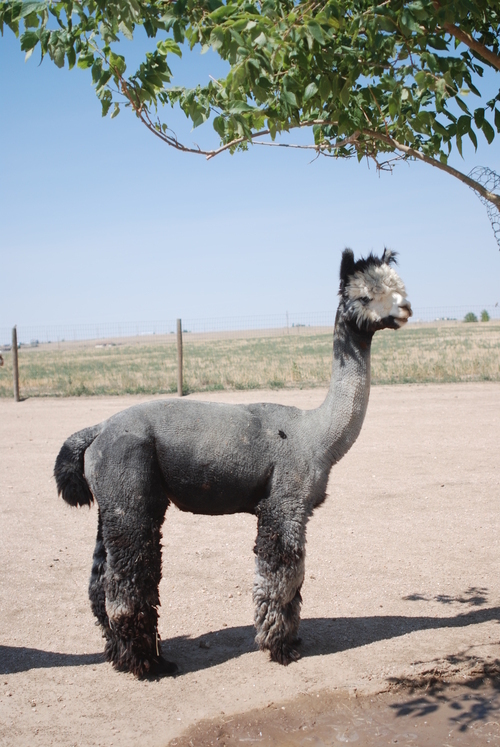 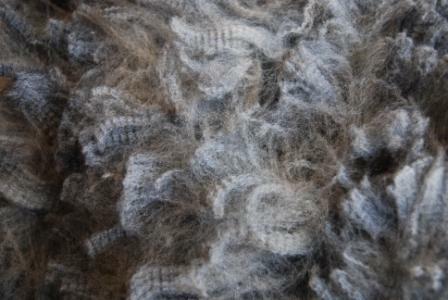 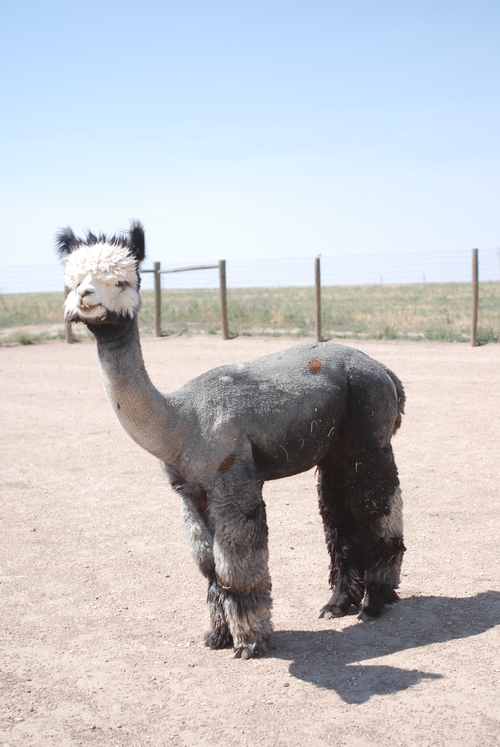 His posture, personality, exuberant crimp, fleece characteristics and outstanding conformation were exactly aligned with what we had defined as being core elements to our program. 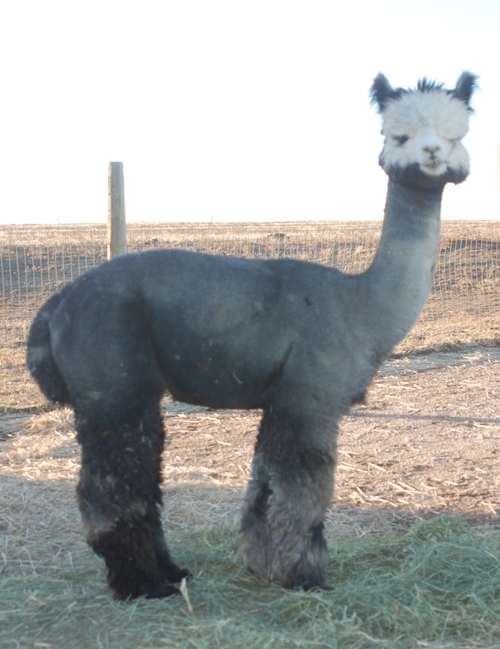 Some judges have commented that he is a "show pony"; He holds his head high and presents himself in a way that says look at me, I have it all going on. Dorian has become everything that we had hoped for as he matured into the herd sire that is equal to or even greater than his exquisite heritage. 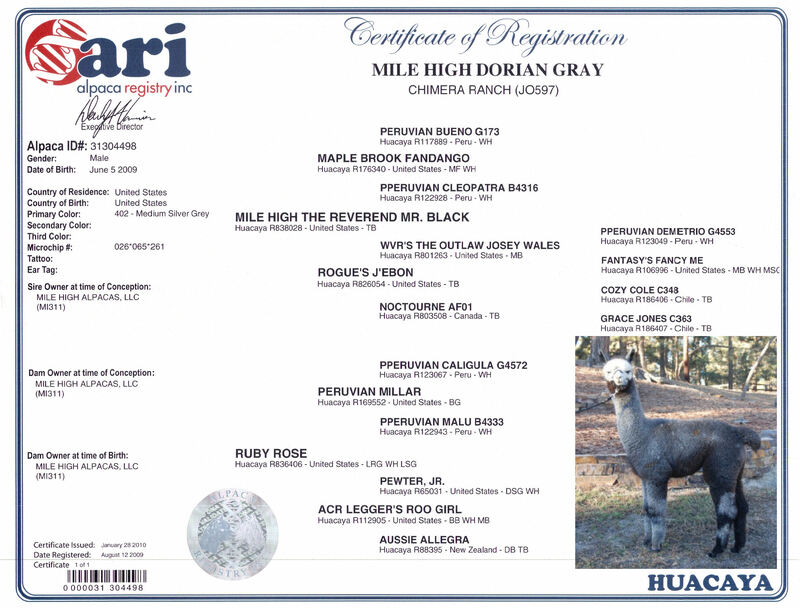 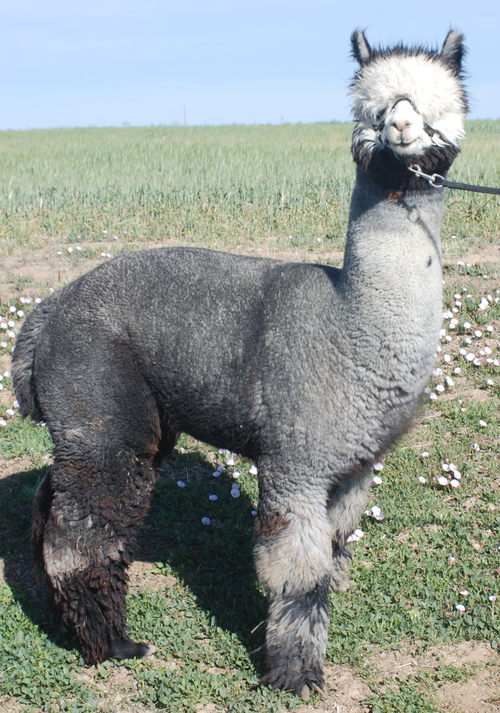 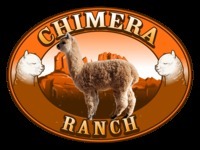 Dorian now has two crias that were born in June 2013 and are entering the show ring, bringing with them his fineness, confirmation and presence.